Hey have you seen this yet? Here at E Cigarette Empire we have tons of different e liquid brands. One that is proven to be one the most popular is Pop Clouds. 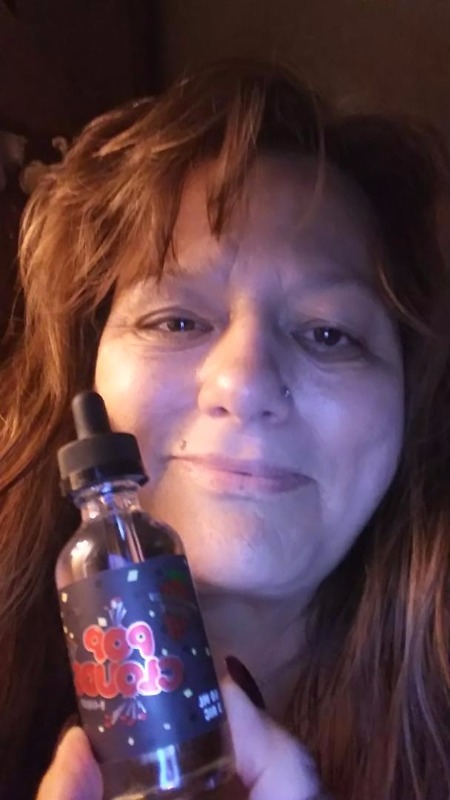 Not only have they been around for years but they produce premium top shelf vape juice. Almost every shop here in California carries them due to how prestigious they are. Pop Clouds can now be found in our e juice brand category! One flavor that is really tasty is Strawberry Candy. It has the flavor profile of a your favorite strawberry popping candy that brings back memories. The inhale consist of that sweet and ripe strawberry taste that makes the taste buds tingle. Upon exhaling is when the popping candy sensation bombards the mouth and leaves you for a loss of words that is how amazing it is. The throat hit of Strawberry Candy by Pop Clouds is very subtle. There is no harsh burning sensation that causes coughing and irritation to the throat. The e cig juice comes in a box that is very catchy to the eye and well designed. The box is black with red lightning bolts all over it. It has mini graphics of explosions to symbolize the popping taste of the e liquid. Printed on the box is Strawberry Candy by Pop Clouds. The e liquid bottle itself is clear glass with a black child proof dropper lid. The label on the bottle has the same design as the box. The VG/PG ratio of Strawberry Candy is a 70/30 mixture. It is known to be one of the most flavorful and cloud producing blends. Here at E Cigarette Empire we carry this e liquid in a 60ML bottle with nicotine levels of 0MG, 3MG, and 6MG. You can find the 30ML bottle size here. Come take a visit to the Empire and see what all the hype is about. I am so happy with e-cigaretteempire I placed my order and it was in my mailbox by the next day. I will never order from anyone else thank you so much.